When I was about 13 years old, I spent the summer in England with my dearest Grandparents. They took me on a cultural tour of England and first stop was Salisbury Cathedral. The stained glass there is world renowned, specifically a window called the “Prisoners of Conscience” has stuck with me all these years later. When I stepped into the Cloisters and saw this window, I felt like my Granny was with me and together we were looking at it for the first time. She’s been gone for almost 15 years now, but this window made me think of her and how connected we were in the cathedral all those years ago. 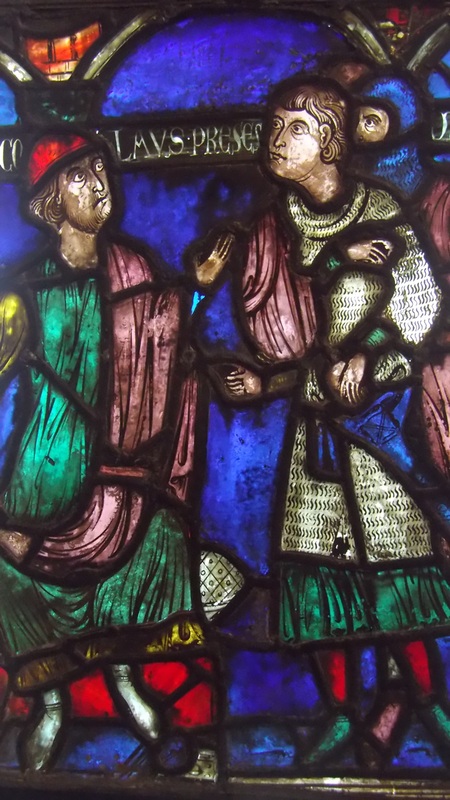 This window is called “Scene from the Life of Saint Nicolas” from France ca. 1200-1210 from the Cathedral of Saint-Gervais Saint-Protais at Soissons. I hope you know, Granny, how dearly I miss you and how much you influenced the way I see the world.